I don’t imagine many of you have heard of Wharf. Holding my hands up – nor had I until a month or so ago. Nor had Mark or Jason. Though I’ve since read this article on them, by Matt at The Dramble. 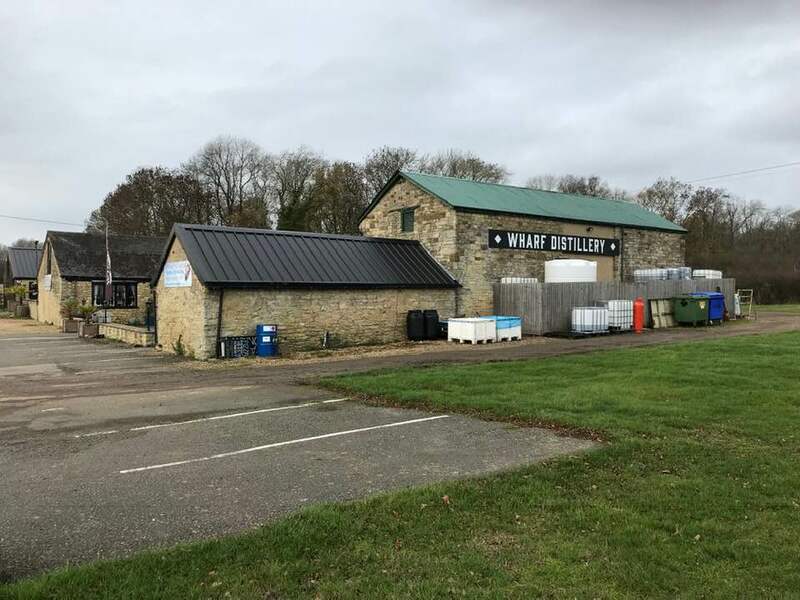 They’re one of three English distilleries to launch their first whisky in the last few weeks, but whilst the two Londoners have enjoyed predictably wild adulation, mass media coverage and no end of fawning from the most inevitable channels, Wharf got a whisper or two in the local fishwrapper. The rest was silence. 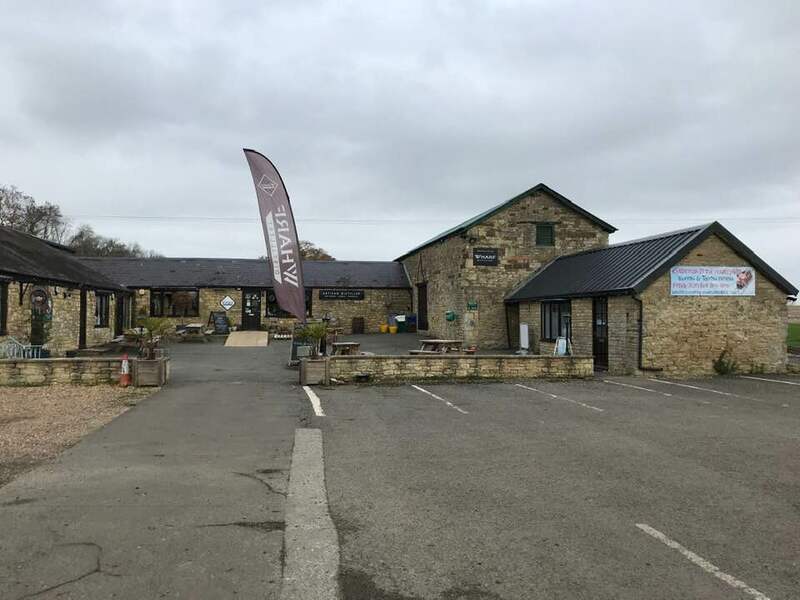 WSTA didn’t even dignify them with a spot on the newly-launched English and Welsh Whisky Trail – despite Wharf being significantly older than several incumbents and actually having whisky to sell. We’ve been taking a closer look at English whisky generally on Malt recently – indeed we’ve just given it a section of its own, here. And Wharf being just an hour and a half away, I thought I’d go and see what was what, furnished with sundry wonkish questions from my editors. Wharf began life in 2009 as Virtual Orchard. A small-scale producer in Milton Keynes, doing its bit to revive eastern counties cider in the wake of the post-Magners boom. With no orchards of their own, they scrounged apples from sites around Buckinghamshire, making tiny batches of proper, all-juice apple wine. Awards followed, the business grew and eventually Laurence, the owner, took the decision to expand into distillation (after having previously had his own ciders distilled elsewhere). 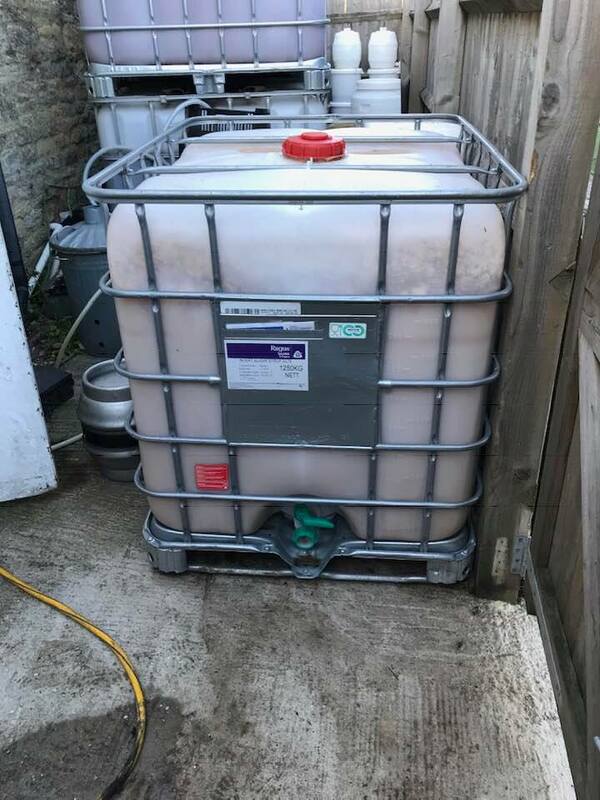 Apple brandy led to gin, and one day, following the sort of “what-if” chat so common to Friday evening pub sessions, Laurence took wort from a local brewery, fermented it, distilled it in miniature Portuguese alembic pots, and filled a fifty-five litre Madeira cask with spirit. That was October 2015. Today it is bottled as Cattle Creep whisky. Or it would be, but the labels aren’t finalised yet. “After three years to get them ready,” says Laurence, with a wry smile. Remote, but for the roar of Silverstone petrolheads from the A5, the first impression of Wharf is how much it seems like your common or garden farmhouse deli. I suppose that’s what it is. The shelves groan with chutneys and cheeses. The courtyard teashop sells home made cakes and hand-woven tea towels. There’s a somewhat ramshackle chicken coop whose inmates have fled beneath the leaf-denuded hedgerow. The final fruits cling to the bare twigs of a lone apple tree, like the last unpicked flesh on a corpse. Large plastic vats snuggle behind simple wooden fences. I later learn that these are what pass at Wharf for washbacks. If distilleries are factories then Wharf is the least factorial I have ever visited. Less so even than the controlled bucolic clutter of Burrow Hill. This is not a distillery as you know it. Laurence arrives in a branded four-by-four, à la Max at White Peak. Practically the punctuation mark of the craft distillery. We sit and talk amongst the jams, gins and small-batch cider. His young daughter wrestles with maths homework next to us, tapping away at a giant calculator. Every so often Laurence looks up as a browser or two shuffles into the shop. He’s on the morning shift – I’m taking him away from his work. His wife will be in later. And that’s the whole Wharf team. 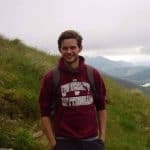 The size hits home hardest when we talk about Cotswolds, which Laurence visited a few weeks ago. “We’re on different ends of the scale,” he says. I think about the size of Cotswolds compared to the Speyside behemoths. That’s some scale. Fermentation took 72 hours in one of those big plastic vats, giving him 800-odd litres to distil into spirit. Distillation was in 200 litre batches through his Portuguese alembics, and when the music stopped he had enough to fill one fifty-five litre Madeira cask, with a few litres’ change. Another Wharf tenet is collaboration. Cider using fruit from local apple growers. Brandy using wine (rosé, unusually) from local winemakers. Whisky using wort from local brewers. Having clocked the harvested fields around the farm shop, an obvious Malt question presents itself: “is your barley from round here?” It turns out that the immediate fields are on heavy clay – too rich in nitrogen to make decent brewing barley. “It mainly gets sold to Budweiser”. But Laurence has found a local farm to buddy up with. Within a year or so, he hopes to be distilling it. After all, it’s not as if he needs much. And here’s the rub. When I say that Wharf is small, I mean it’s the most miniscule fraction of what you’re thinking. Since that inaugural cask was first distilled, a whole two more have followed suit. Three casks of Cattle Creep whisky to satisfy the whole world. White Peak is a small distillery, and they fill twice as many as that every week. And White Peak’s casks are far bigger than the 50-100 litre vessels Wharf are charging with spirit. But then Wharf has moved premises since that first distillation. And, in January, they’ll be on the move again – just down the road, to a permanent home. “I’m planning to increase production when that happens,” explains Laurence. Aha. Makes sense. How much are we talking? 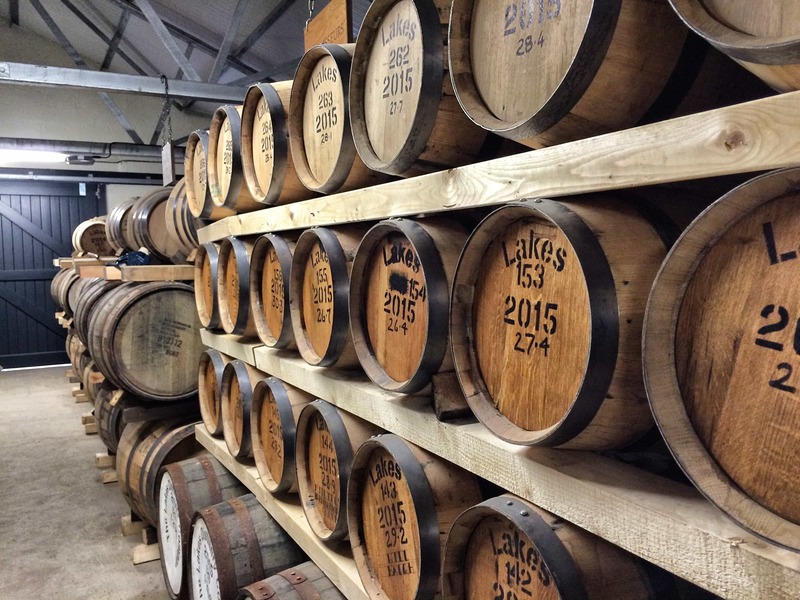 “We’ll do three casks a year.” At least there won’t be any warehousing headaches. Such a small rate of bottling makes delineating a “house style” near-impossible. Laurence is bubbling over with ideas for future casks – barley, malts, smokes, woods. He’s hoping for feedback on the first release, which no doubt will inform future whiskies. With an inventory of just two casks and a craft cider and gin business that seems (from the outside) to tick along nicely, there’s no impetus to stick to a particular formula. Nor, from what I can tell, does there seem to be such an inclination. Wharf is small enough for unparalleled nimbleness and flexibility. Lovers of consistency need not apply. And the collaborations go on. “I get about five calls a week asking whether I can do a gin for someone.” At Wharf you can press and ferment your own cider, and if you come up with the right materials, there’s no reason you couldn’t co-create your own spirit too. I ask whether we could make our own whisky, if we provided the barley. After all, I know a guy who knows 71 guys. As whisky in the UK goes, this model is all but unique. 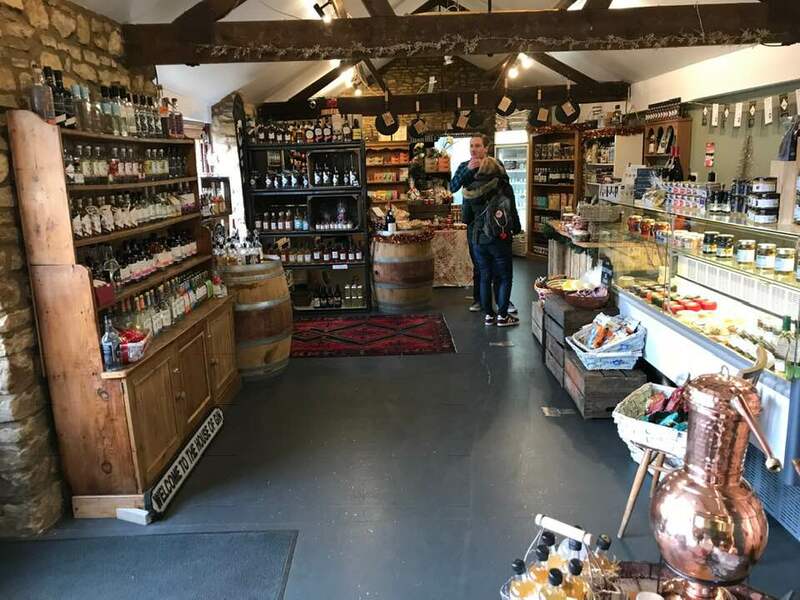 Single malt as just another sort of homemade produce on a farm shop’s shelves. And yet I wonder, as I tootle back south, is it really that unique after all? Is this not how whisky was, for so long? Is that not what life was like in the Highlands, in Ireland and in America, in the days before conglomerates and artisans? 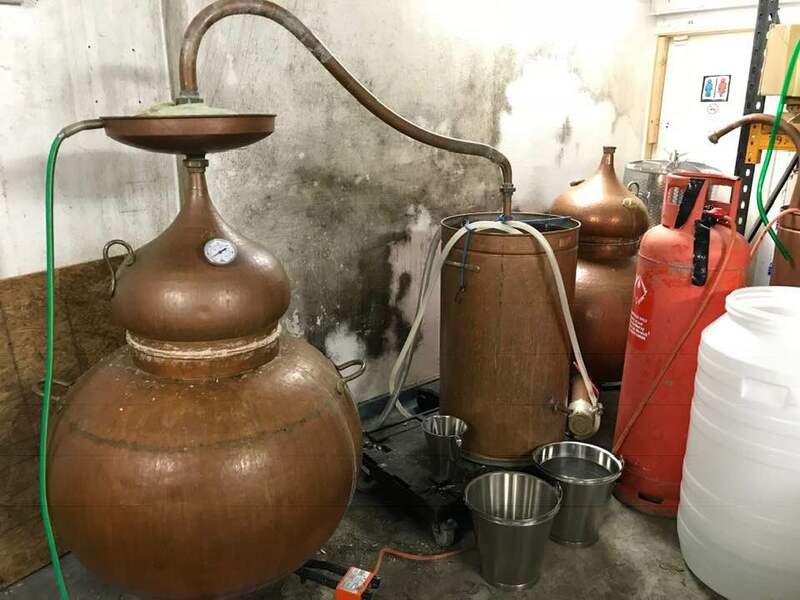 A woman or a man who owned a still; who distilled a tiny batch of spirit for themselves and their family; who sold to just a handful of customers? And are there not, across the country, so many hundreds of other farm shops selling tiny quantities of local or home-made produce? So many other little Portuguese alembics with juniper-flavoured spirit spouting in Lilliputian batches over the snaking lyne-arm? Would it really be so strange if more of them followed Wharf’s lead and squirreled away a cask or two of malt spirit for three-plus years in wood? “Last week we were lucky enough to be invited for a private tour of another English whisky producer. It was a fantastic experience and so very different to our own modest setup. 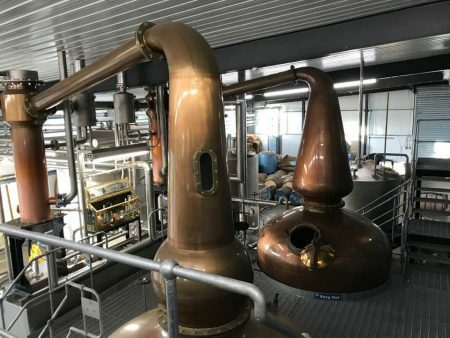 Surrounded by millions of pounds of investment it was difficult not to admire how quickly they had gone from idea to warehouse filled with hundreds of casks of whisky. “In some ways it made us feel a little like frauds. How could we possibly produce a whisky with such little investment and with such audacity? Who in their right mind would seriously contemplate producing whisky without pedigree? After much thought and consternation, it struck us that to worry about that was to miss the point. It’s not about the money, enormous stills, or heritage, it’s about taking an idea, the tools to hand, and adding passion and commitment. I said to Mark before I visited that I didn’t expect Wharf to be doing anything dramatically new or different. That they were probably too small to really be changing the landscape. But, writing this, I realise that I was wrong. In their own way, Laurence and Wharf may be the first in a resurrection of the tiny-scale, part-timer whisky tradition. Where they have led, other farmhouse delis will surely follow. They will change the landscape, two or three barrels at a time, precisely because they are so small. The art of the possible. Wish we could have tried the whisky itself, mind you! Thanks so much to Laurence for taking the time to show me round Wharf and talk me through its processes.